Fox Pest Control provides pest control in Brighton and the surrounding areas. We take pride in providing exceptional customer service, and take to heart the feedback we hear from each and every one of our customers. Below you’ll find our reviews, testimonials, and feedback from the home owners and businesses in Brighton we’ve serviced. If you need a Brighton exterminator, contact us today! called twice and got no call back to schedule an appointment I have upgraded from a one star. They must monitor the Google rating because I got a call with 30 minutes after posting my dissatisfaction! He apologized and sent Edward right away. Edward was very nice and thorough. His efforts (hopefully) took care of our wasp infestation. 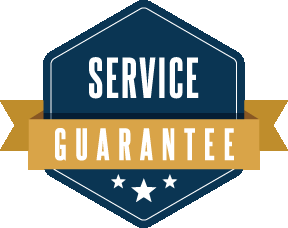 Joey deleivered quality professional service! Extremely knowledgeable and friendly. Sales representative took time to make sure we were well informed. Dante is our tech. And was very accomadating and friendly. Check them out. Thank you Edward for your outstanding service today, you answered all of my questions and concerns and were extremely professional! I would recommend this service since we no longer have to worry about our bee problem, thank you very much! We are thrilled with our interaction with this company! Our four legged family members love Dan! Their knowledge of biology and chemistry, coupled with a balanced environmental awareness is a comfort. And best of all, our six- and eight-legged unwelcomed guests have all been served notice. Fox's tech Edward went through everything with us. Excellent customer service on his part and went above and beyond. Fox is lucky to have such a dedicated and hard working employee. Will definitely recommend to friends and neighbors! Joey was great and provided lots of advice and information. No sooner did I notice bees flying in and out of a crack above my door then a man from Fox Pest Control showed up at my door. They gave me a pretty good rate to spray down the house, and while I cannot yet speak to the efficiency of the treatment, Joey was professional, courteous, friendly and knowledgeable. They seem to have done a thorough job. Joey was here and did his job well. Our experience with fox pest control was outstanding. Joey made sure he explained everything he was doing and was also able to answer all of my questions. Joey also went out of his way to include my 5 year old son, who was very interested in what he was doing. He was great with him! Very professional and I would highly recommend this service. Fox Pest Control guarantees its treatment plan for a full year. If for whatever reason you have any new pest problems or other covered pests, we will treat immediately and at no cost to you. Immediately means you are our priority.